Hark, now hear the familiar voice announcing Kairos, the show of the .No of WoNo Magazine that is broadcasted each first Thursday of the month on Concertzender and then stored sort of forever on a server somewhere in the world. Each month the Wo. part of WoNo Magazine takes a listen and shares his thoughts with the reader of this blog. So let's see whether this Kairos led Wo. to some deeper insights into the levels of whatever. Hildegard von Bingen? Wasn't that a Mediaeval nun, who locked herself into her cell, but also wrote music? For the first time, as far as I'm aware I am exposed to her music. Although this is not entirely true. Richard Souther has arranged it for modern ears, that much is clear. This is deeply serious music, that much is clear also, yet of an enormous pureness. As if light emanates from it, as the sacred heart of Jesus does in some pictures and statues. Just listen to how the organ sounds and the following, mixed deep into the whole, choir. Oddly enough I instantly have parts of 'Tubular Bells' mixed into this music within my head. As if Mike Oldfield transposed Von Bingen into the 20th century. 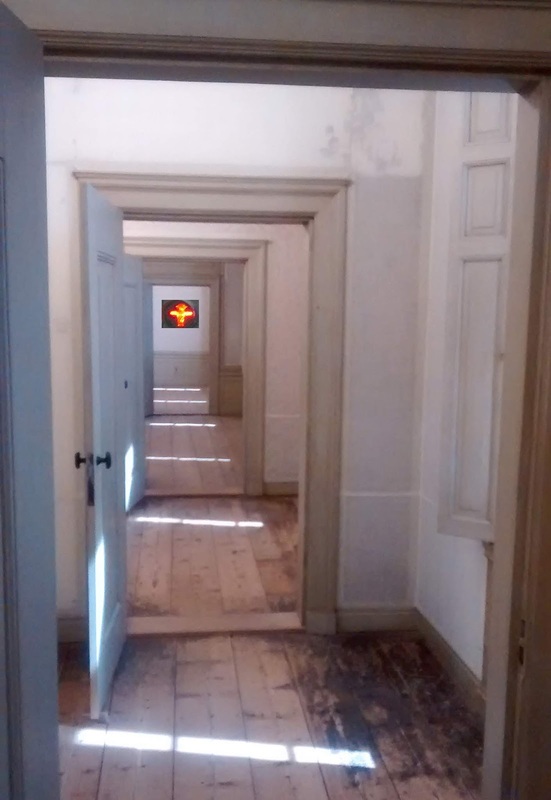 We hear two compositions, where I can't help noticing how well 'Axioma IX', preceded this work. The time table says I'm listening to a fragment of 'Alpine Brook' by Manu Delago. Still I hear no difference, until Southern's arrangement is faded out and a trumpet enters the whole. The strange rhythmic sounds underneath it all, including ticking on a bell of glass. The trumpet is very traditional in sound and melody. All around it is totally deconstructed in sound and rhythm, estranging almost, yet very well done. A lot of thought (or experimentation) went into this track, to make it sound so perfect and fitting all the individual parts. A choir comes in, all ladies, singing another work from Ms. Von Bingen. This is from another album and artists. The traditional version, where Richard Southern made it his own work. Oxford Camarata sings 'O Euchari' as it may have been sung by the sisters surrounding Hildegard von Bingen in the abdis of Rupertsberg, near Bingen, circa 1150. Since 2012 she is saint Hildegard and was a scientist, composer, receiver of visions and what not in her day. Finally I have heard her work as it is supposed to sound. This music does not do much for me unfortunately, but then I can't have it all. Nine minutes is a long time when someone does not follow the devotion, like I do. Music sets in and it has some sort of a folk undertone. The traditional kind as can be found in British folk music. That is not all though. Somehow (the use of the) instruments and sound come across as older. On the other hand something strange is going on, as if the instruments have to find their relations to one another in the composition, as if they are all being played without a common denominator, having to find their way around this composition without guidance. It remains unclear whether they succeed, yet they seem to manage and find their way around the composition in a successful way. It is even unclear, at least this is what I'm sensing, whether the instruments are played on the same continent, as so many styles and sounds come together. Such confusion. It does make 'Saudade' extremely intriguing to listen to. Michael Price is up next with 'Fan Bay' from his album 'Tender Symmetry'. It is not the first contribution on Kairos from this album. The singing is in line with Hildegard von Bingen's contribution. A one voice choir. The voice is a male version of the ambiguous voice of Antony Hegarty or Anohni nowadays. The music, deep and dark. Extremely serious with just a hint at adventure in the cello's notes. 'Fan Bay' is church music, music composed to praise the Lord (to) for the modern age. That makes it harder for me to understand or put into context. What does John Price want to say with this music? Perhaps nothing, but the question keeps popping up in my mind. An Anonymous enters Kairos. Not in the form of a hacker donning a Venetian mask, although the group has been very quiet in the past years (all behind bars? ), but as an unknown composer of the 'Carmina Burana Manuscript' from 1230. We are deep into the Middle Ages with this Kairos. Coincidence has it I discussed the professor of Mediaeval history of Leiden University, H.P.H. Jansen, how wrote the hideous standard work that all freshman had to know by heart, on the afternoon of writing. 'Veri Dulcis' has a traditional church music part, like it is still composed today, but in the accompaniment has an eastern touch, something Greek. That makes it an interesting hybrid. Not that I'm jumping around the room, that also makes typing hard, but this music does work. It does something (possitive) to my mood. The singing moves over for something that is being blown accompanied by a strange clicking sounds, as if a hedge is being clipped. I recognise it from some Kairoses back in 2018. What is it again? It is Jorg Verhoeven blowing his bass clarinet. Once again I do not see myself meditating on this rather strange music, but it appears it is working for Verhoeven. He explores his instrument and thus his mind in all sorts of ways and yes, it produces sounds. From music to air being moved by breathing out. I expect the clipping sounds to be the levers or whatever one calls them on clarinet when pressed and released. And oh, the bass can sound as deep as a ship's horn. 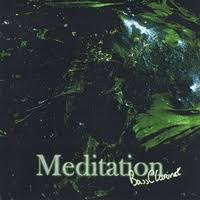 Somewhere beyond the sonorous sound it is possible to hear Jorg Verhoeven freak out in his own, slow and meditative way. And that part is amazing to hear. Oh, no, Harrold Roeland returns to Kairos. For how long, not 20 minutes again? No, a piano moves into the bass clarinet's sounds ever so hesitatingly. Jorg Verhoeven blows on like it is not his time to go, but alas, the piano now really takes over. .No is showing off his mixing qualities and ears for perfect mixes and mash ups. And silence enters Kairos. Roeland is not afraid to let this into his music. He allows the silence to be so long, that it is almost as if he went to the store and found that notes were nearly sold out and no knowing when they return on the shelf. 'Stargazing Savannah' sounds like someone lying on his back in perfect darkness with just the heavens above him. With a meteorite coming to its end silently, high above. Night sounds all around. Yes, I can be surprised in a pleasant way, even after my not so pleasant introduction to Roeland's music last month. The poem by Anita Frenks completely underscores my train of thought I notice. The next song moves in, but 'Stargazing Savannah' does not move out. Hearing is believing, as often it is in Kairos. 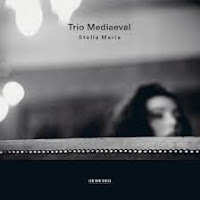 The star of the sea, Stella Maris, is venerated by the Trio Medieaval. Combined with the "night sounds" and sparse piano notes, something totally new is created neither artist had foreseen. Both works are enhanced by it is my impression, as this is pure beauty what I am hearing. Kairos ends with another Axioma, this time number II. But what is it I'm hearing after Trio Mediaval stopped singing. My take is that .No is taking over here and is mixing whole worlds together. Myderwyk starts playing while all the night sounds continue. In ever busier and more prominent loops. At least I thought I was hearing Myderwyk, but when he does come in it becomes clear I was still listening to Harrold Roeland. Myderwyk plays his contemplative composition, yet my brain is still twirling and suggesting to hear the "night sounds". They are gone and soft piano playing is all that is left. The ideal ending to this Kairos, as there was more than my brain could process or so it seems. I am allowed to relax like the moment one has with oneself when the meditation is said to be over. Closing the eyes, lingering in the feeling for just a little longer, stretching limbs and neck. Myderyk does just that at the end of Kairos 103. 00:15 Matteo Myderwyk. Axioma IX. Album ‘Ataraxia’. Excelsior Recordings. 02:39 Hildegard von Bingen (arr: Richard Souther). Sed Diabolus. Album ‘Vision, the music of Hildegard von Bingen’. Angel CDC 7243 5 55423 2 8. 04:40 Richard Souther: The Anointing. 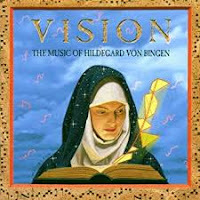 Album ‘Vision, the music of Hildegard von Bingen’. Angel CDC 7243 5 55423 2 8. 11:39 Hildegard von Bingen. O Euchari. Oxford Camerata; Jeremy Summerly. Album ‘Hildegard von Bingen / Heavenly revelations / Hymns, Sequences, Antiphons, Responds. Naxos 8.550998. 20:13 Milos Valent / John Surman / Stephen Stubbs. Saudade. 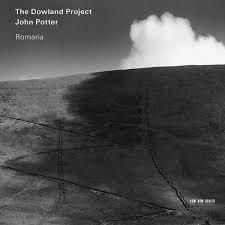 Album ‘The Dowland Project, Romaria’. John Potter. ECM NEW SERIES 1970 476 5780. 26:12 Michael Price. Fan Bay. Album ‘Tender Symmetry’. Erased Tapes Records ERATP112CD. 31:30 Anonymous (from Carmina Burana manuscript c. 1230). Veris Dulcis. Album ‘The Dowland Project, Romaria’. John Potter. ECM NEW SERIES 1970 476 5780. 36:31 Jorg Verhoeven. Original green part 5. Album ‘Meditation Bass clarinet’. Self-released. 42:00 Rocókon / Harrold Roeland. Stargazing Savanna (fragment). Album ‘Generative Landscapes 1’. Self-released (see: https://harroldroeland.bandcamp.com/album/generative-landscapes-1-3).